International organizations : a comparative approach to the management of cooperation, por Jordan, Robert S., Clive Archer, Gregory P. Granger y Kerry Ordes, Londres, 2001, 4ª ed. Governing high seas fisheries. 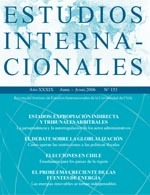 The interplay of global and regional regimes, por Olav Scharm Stokke, Oxford : Oxford University Press, 2001.